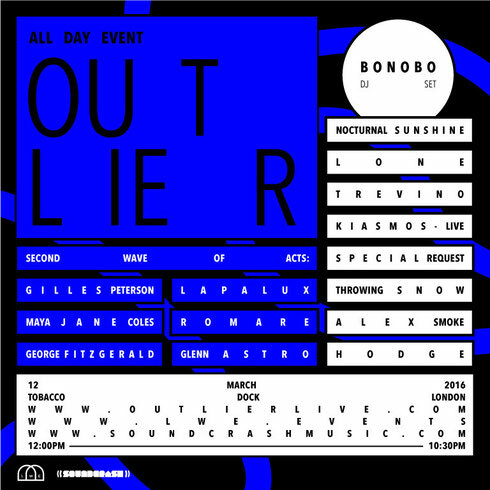 New international event series - Outlier - curated and headlined by Bonobo, recently announced the second wave of acts for their all-day launch party taking place at London’s Tobacco Dock on Saturday 12 March, with a programme of music from possibly some of the industry’s most innovative talents. Joining the lineup is broadcaster, DJ, producer and head-honcho of Worldwide and Bronswood Recordings, Gilles Peterson, possibly one of the leading tastemakers in modern-day music. 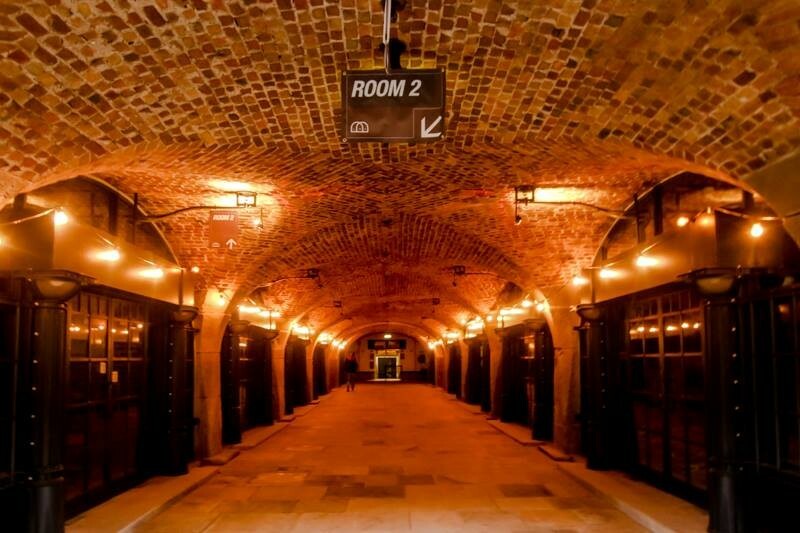 Maya Jane Coles will also play as both herself and her darker alias, Nocturnal Sunshine, whilst producer Romare will bring his disco-tinged sounds to the East London venue. After an apparent game-changing year in 2015, George FitzGerald will also join ranks with producer Lapalux adding to the event's live music offering. Glenn Astro will be showcased with a further wave of acts still to be announced for the launch party. Live acts and DJs carefully handpicked by Bonobo will play at the all-day party across multiple rooms, as well as an extended DJ set from Bonobo himself. Bonobo has released four studio albums since joining Ninja Tune, with his last 'The North Borders' apparently receiving critical acclaim across the board and charting inside the UK Top 30. The following tour apparently saw a string of sold-out shows, performing to a combined audience in excess of two million people and culminating in a showcase at London's Alexandra Palace.